Last year, we found some amazing, experienced people to be part of our team of activity staff who look after the children during the summer camp. And we’re pleased to say that loads of them are coming back. These guys are responsible for the children between lessons and during the afternoon activities. They are full of energy, ideas and the kids love them. We can’t wait for the children coming on this year’s French Summer Camp to meet them! They play games, set up competitions, manage snack time and provide lots of entertainment. We’ve sat down and we’ve listened to what you like! 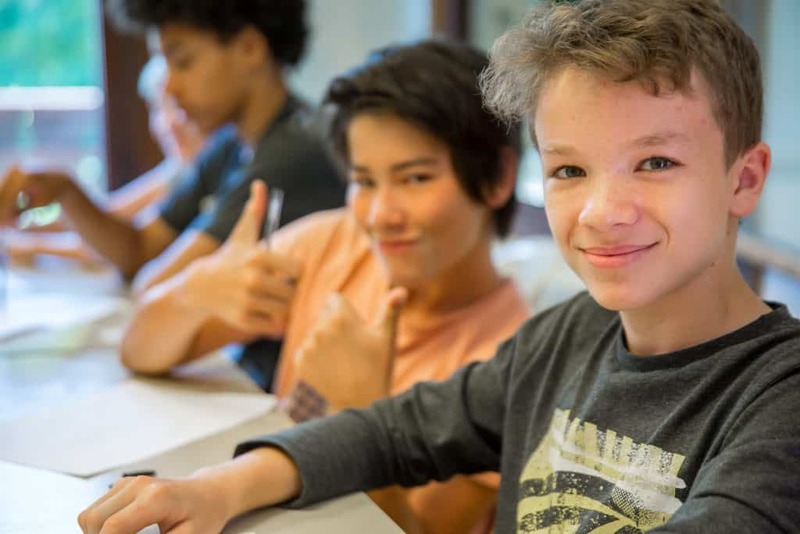 There are hundreds of amazing activities to choose from in Morzine during the summer which we think makes our camp one of the most exciting on offer. However, we can’t include them all on the timetable of afternoon activities- there just isn’t the time. So with the help of the children, we’ve picked the best and the kids certainly love telling us what their favourites are! The smiles on their faces as they fly down the rapids whilst white water rafting and the excited chatter after they abseil off rocks into waterfalls during canyoning says it all! We’re aware that food can be a huge issue for children away from home, it can be a source of worry especially for those with dietary needs. We spend a great deal of time perfecting our menu to make sure that it is nutritious but at the same time desirable for children. We also know that working and playing hard is hungry work so we also offer snacks throughout the day to help keep the children’s energy up. Please speak to us on booking if you have any food concerns and we’ll make sure we do all we can to put your mind at ease! The teaching staff can’t wait to get started! We’re proud of our amazing group of teaching staff, they all have their own strengths and make our French Summer Camp what it is. We’ve got lots of teachers from last year coming back this year because they loved it so much. The team is really looking forward to this summer and meeting all of our new students. Like we said, summer 2019 is going to be fantastic!